Since 1977, Charlie's Drain Service has been serving customers in Northeast Ohio. Located in Kent, Ohio, Charlie's Drain Service was started by the late Charles Free and his wife, Velma. Purchased in 2001 by the current owners, Bob and Beth Andrews, Charlie's has retained its commitment to quality service and customer care 24 hours a day, 7 days a week. Charlie's Drain Service has built a quality reputation by earning the trust and loyalty of our customers for over 35 years. With knowledgeable and dependable service technicians, specialized equipment, timely responses and affordable pricing, we provide comprehensive and round-the-clock services to residential, business, commercial and industrial establishments. At Charlie's Drain Service, we provide our customers with prompt, courteous, clean, knowledgeable, and reliable service. Our employees are trained individuals who take great pride in their work. Meet them all below. 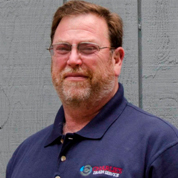 Bob Andrews has been in the drain cleaning business for over 35 years. 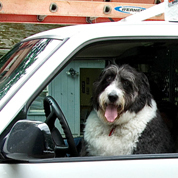 He and his wife, Beth, have owned Charlie's Drain Service since 2001. 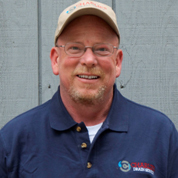 A native of Kent, Ohio, Bob's vast experience makes him instrumental to the great care and service one can expect from Charlie's Drain Service. Describing Charlie's Drain Service as "great people and great service," Bob looks forward to many more years serving the people of Northeast Ohio. In his spare time, look for him in the bowling alley throwing strikes, on the golf course working on his short game, and spending lots of time with his family. 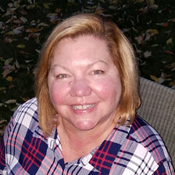 Beth Andrews, a native of Kent, Ohio, maintains operations within the Charlie's Drain Service office. Jimmy Andrews, Bob's brother, has been in the drain cleaning business for over 25 years. His experience as a service technician and exceptional customer service skills are great assets to our company. Jimmy enjoys spending time with his family and friends. Kyle Vaughn brings with him over five years of experience. In his spare time, you can find Kyle on the golf course or singing along at a country music concert. Meet our newest employee, Xavier Upshaw. 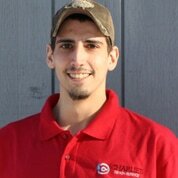 Xavier has multiple years of experience in drain cleaning and customer service. We're excited to add him to the Charlie's Team! 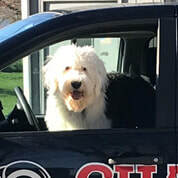 Marilyn joined the Andrews family in 2011 and immediately became the official mascot of Charlie's Drain Service. Marilyn loves people, spending time at the shop with the employees, and especially joining them for lunch! Welcome Monroe, the newest addition to the Andrews family. Monroe loves spending time outside, riding in the car, and spending quality time with Marilyn!